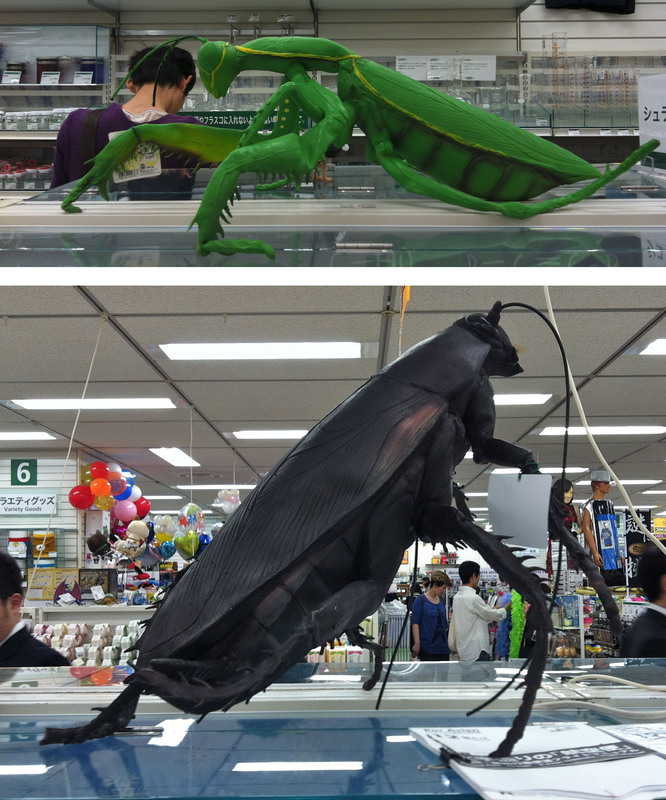 Okay, I know I’ve exhibited what might be interpreted as anti-insect bias on this blog before, but honestly, do you know anybody who would want a two-foot tall, anatomically correct, rubber cockroach staring at them while they watch TV? Apparently, the buyer at Tokyo Hands believes that not only are there people who would be happy to spend ¥5000 on such an item, but they’d jump at the chance to complete their sets with a praying mantis as well. All I can say is if someone in my house were to buy the gokiburi, I am damned sure buying the mantis. I’d be buying the giant rubber can of Raid.